Can you imagine how magical it is to witness the dancing light show of nature called Aurora Borealis somewhere above the Arctic Circle in the comfort of a glass igloo? 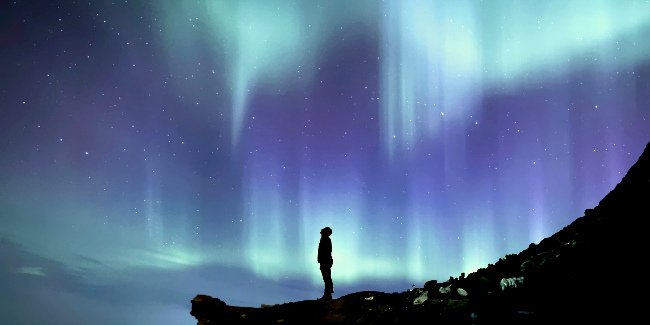 In this article we have put together handy advice for those wondering when is the best time and place to see Northern Lights and how to make this experience so unforgettable that you’ll remember it for the rest of your life! Where can you see Northern Lights? If you’re not sure where to go to see the Northern Lights, we advise heading to Scandinavia or Russia. Although this natural phenomenon is common in the Northern Hemisphere above the Arctic Circle all around the globe, Finland, in particular, is considered to be the best place to see Northern Lights in the world. Moreover, the country’s Lapland region has many developed areas that are elaborately designed for Northern Lights enthusiasts. Norway and Sweden also keep apace and boast numerous opportunities for adventurous winter leisure. Contrary to popular belief, Aurora Borealis is a phenomenon that happens all year round. The highest Northern Lights activity though is during winter from the middle of November to the middle of April, plus there are pretty good chances of seeing them from the end of August to the end of September. Nevertheless, you always have to keep in mind that watching Northern Lights at their finest exactly during the time of your trip isn’t something that can be 100% guaranteed. A lot depends on the weather conditions and the temperature. But how do you make a Northern Lights experience simply remarkable? Searching for Aurora Borealis in the wintertime somewhere in frigid Lapland where temperatures drop to startlingly low thermometer marks may seem like a freezing cold activity suitable solely for adventure seekers and adrenaline junkies. But how about taking it up a notch? We suggest having your cake and eating it too by including the real deal to your Northern Lights tour - an overnight stay in a Glass Igloo! The specially designed accommodation is cozy and has all modern amenities you can only ask for being so far north in the world: large beds, heating, in-suite bathroom facilities and the “walls and roof” are panorama glass! Meaning that you’ll be gazing at stars and watching the Northern Lights as you relax in your private igloo. One of our top choices that we include in our Finland Northern Lights tours is the Kakslauttanen Igloo Resort. Other alternatives we can advise are the Arctic Snow Hotel & Glass Igloos where you can even stay in an igloo literally made out of snow if you feel like going all the way and spicing your experience up a bit. Imagine this, snow and ice aren’t only used for the walls of the igloo, all the artwork and furniture, including the bed, are made of it as well! As an extra perk, you can order the Aurora Alarm service that’ll wake you up to see the lights when they’re active. There are also similar accommodation options in northern Norway and Sweden if you're planning to travel to these destinations. And it doesn't end at that, options such as Sweden's ecological Tree Hotel or the unique Bubble Hotel in Reykjavik can surely jazz up your adventure! Seeing the Aurora Borealis isn't an unattainable dream! And setting off on a winter adventure is much easier than you think, especially when you can mix and match and add on whichever winter activities you wish from husky-dog sledding and visiting Santa's residence to ice-fishing and snowmobile safaris with customizable Northern Lights tours by Firebird Tours.